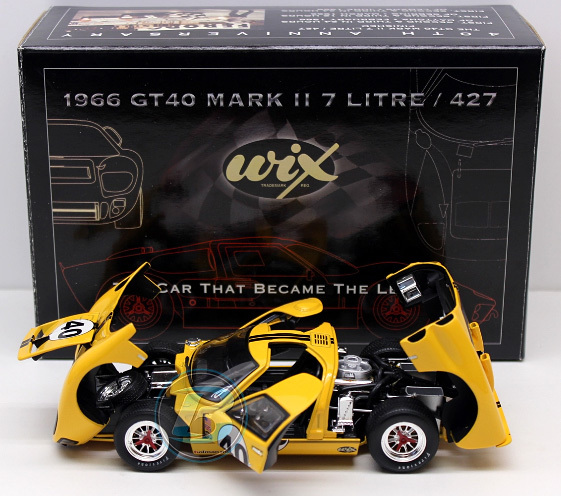 1966 GT40 Mark II 7 Litre / 427 40th Anniversary 1/24 diecast, by Icons. 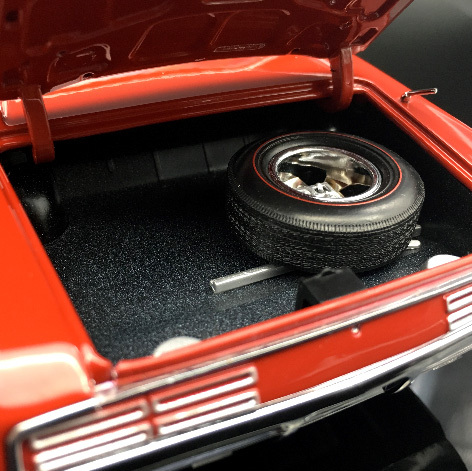 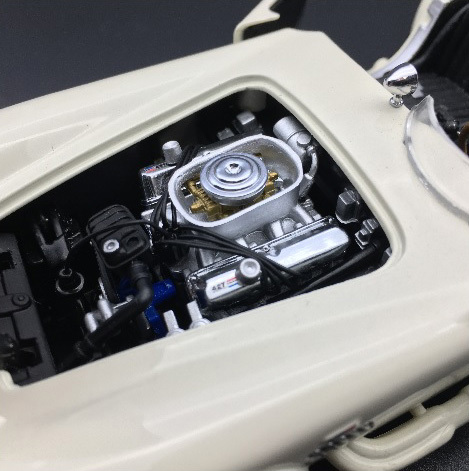 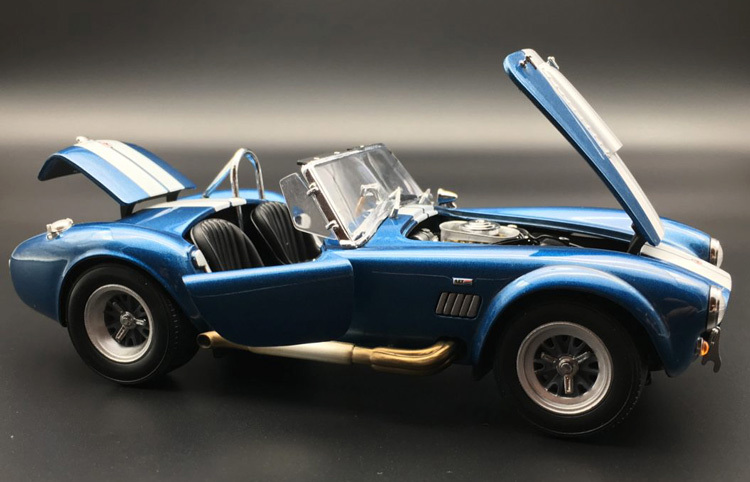 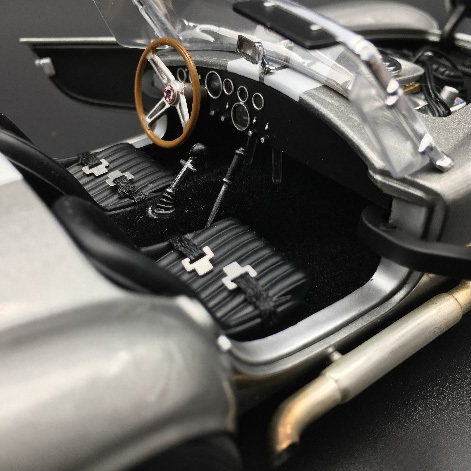 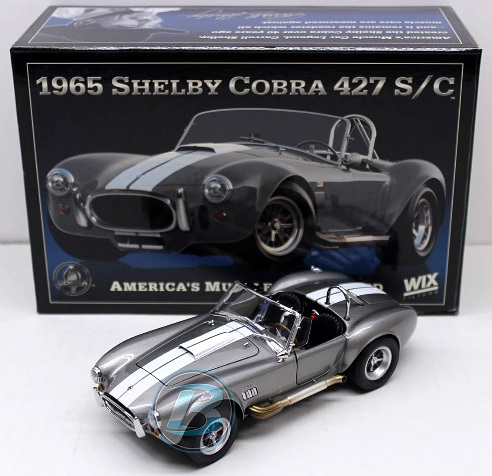 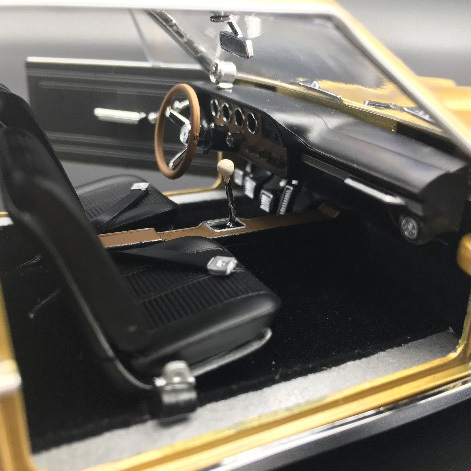 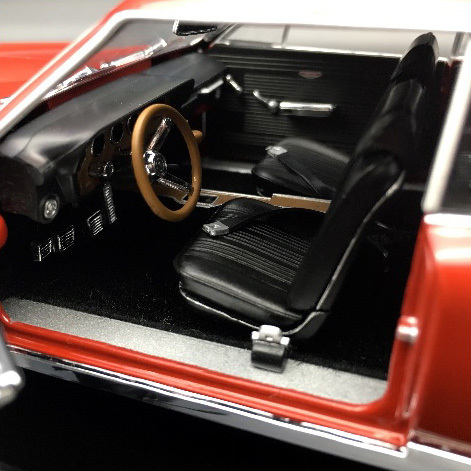 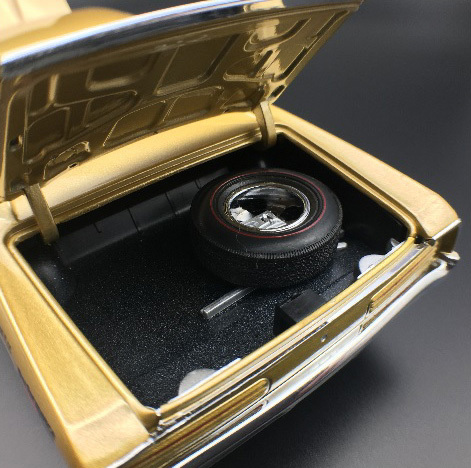 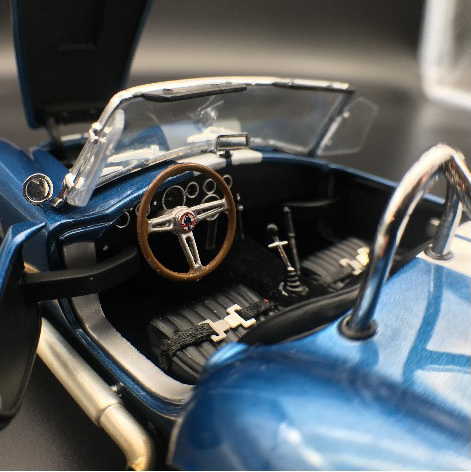 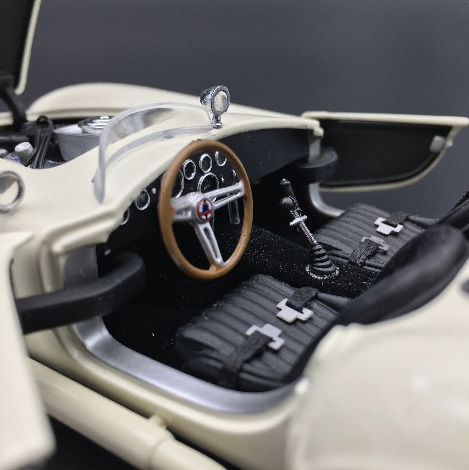 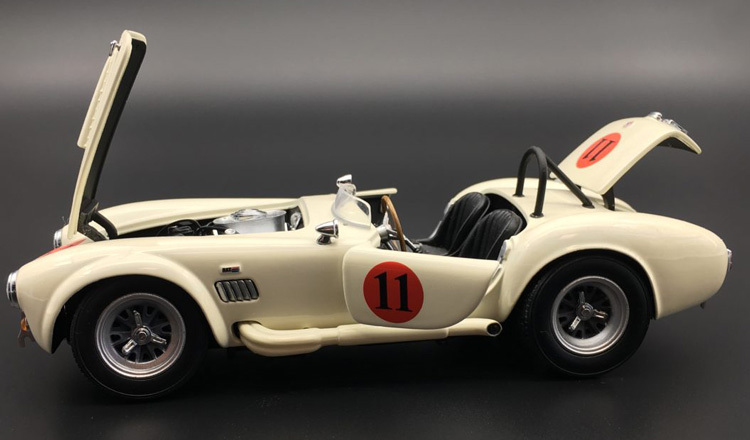 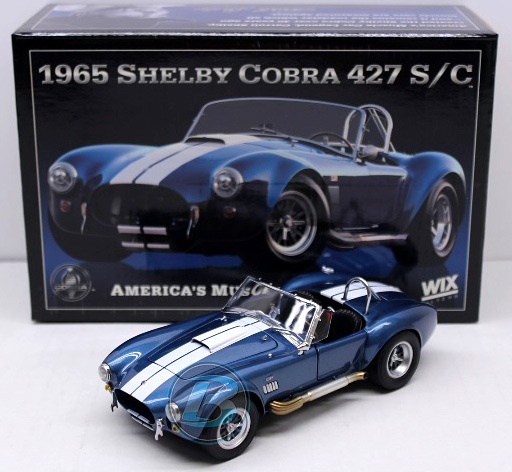 This high quality and beautifully detailed GT40 Mark II features: All metal body and chassis - opening doors, hood and trunk - detailed Holman Moody 427 engine - steerable rubber tires. 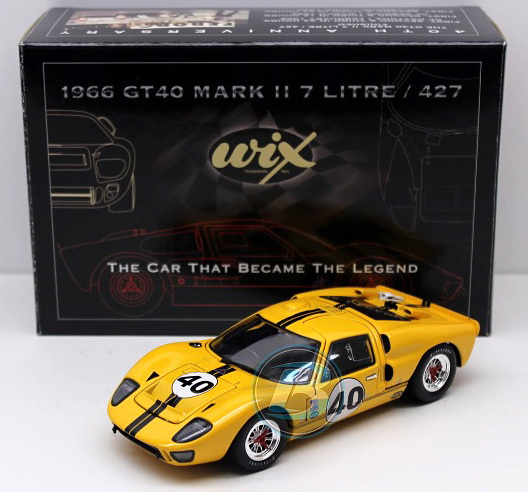 The GT40 Mark II finished 1st, 2nd and 3rd in the 1966 24 Hours of Daytona, 12 Hours of Sebring and 24 Hours of Lemans. 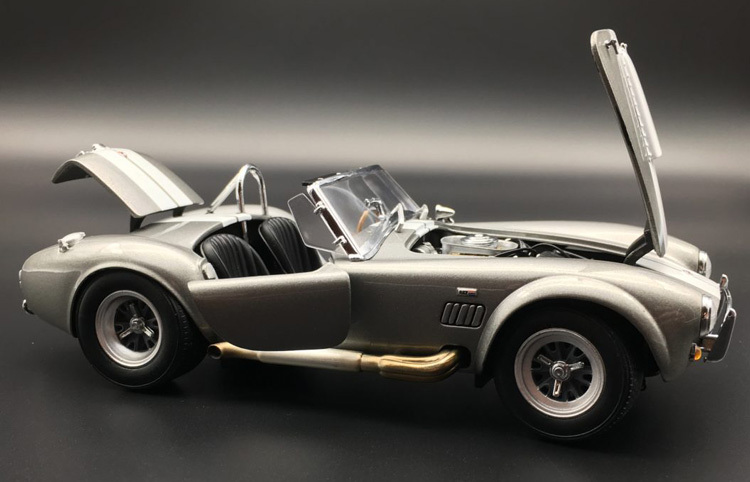 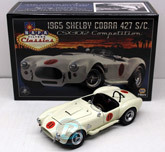 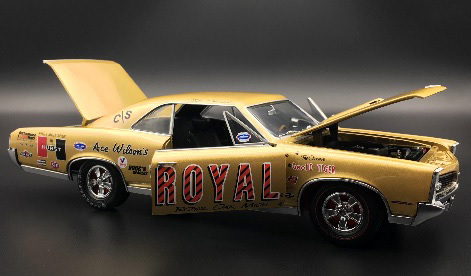 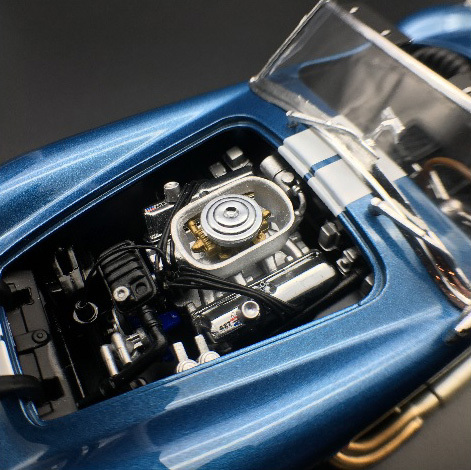 This is the only GT40 Mark II diecast car in the world approved by Holman Moody and the Ford Motor Company. 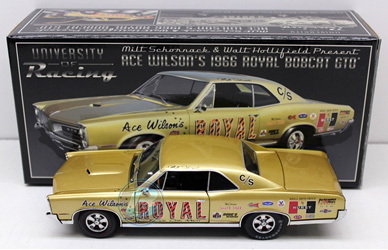 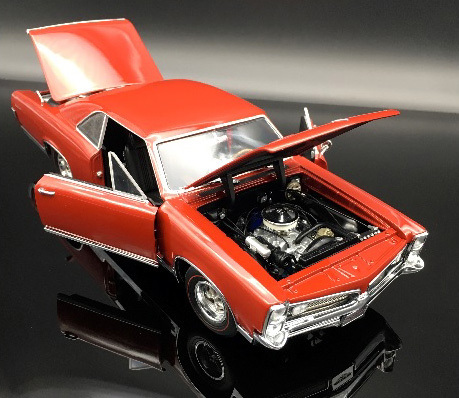 1967 Regimental Red Pontiac GTO 1/24 diecast, by Icons. 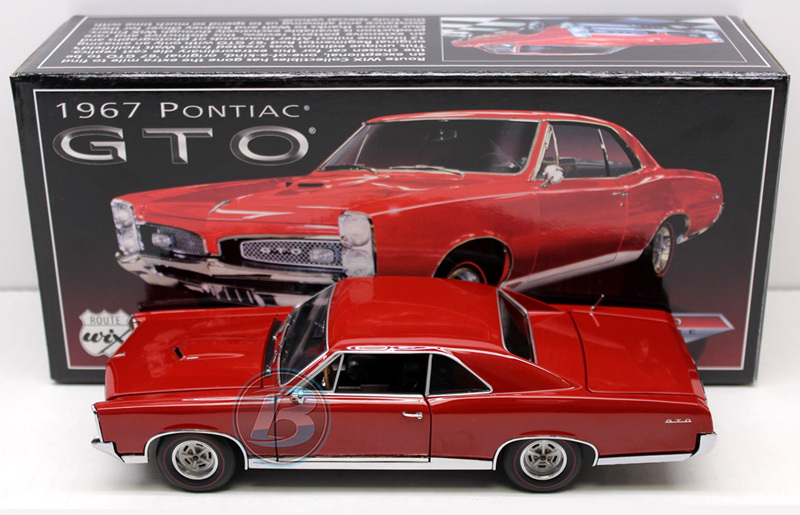 This high quality and beautifully detailed Pontiac GTO features: All metal body and chassis - opening doors, hood and trunk - 400 c.i. 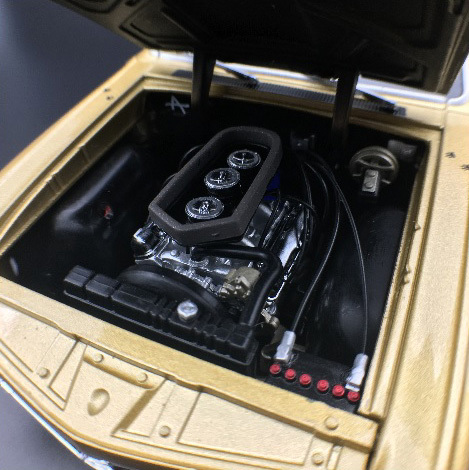 HO engine with 4 barrel Quadra-jet carbs - M21 4 speed transmission with Hurst shifter and 355 posi-track rear end - in-dash rally cluster gauges with tachometer - black interior and folding seats - unique '67 wire mesh grille, bright rocker trim and authentic T-3 headlamps - five spoke Rally II wheel option with Firestone F70 x 14 "Wide Oval red Strip" tires.